When the organization Planting Peace learned the hateful Westboro Baptist Church announced plans to picket the funeral of Robin Williams, the put a plan of their own into action. However, when the organization Planting Peace – which owns the Equality House located across the street from the Westboro Baptist Church in Topeka, Kansas – learned of the WBC’s plan, they put one of their own into action to overshadow the hateful message with one of love, reports the Huffington Post. Planting Peace has begun a fundraising effort in Williams’s honor benefiting St. Jude Children’s Research Hospital – a cause the iconic actor supported passionately during his life. 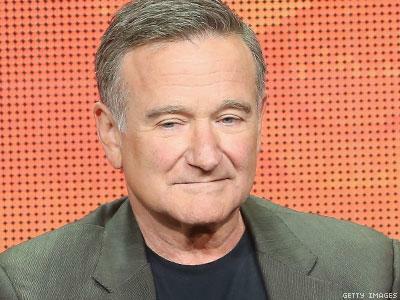 Our neighbors at the Westboro Baptist Church have announced their intention to protest the funeral of Robin Williams. In keeping with our philosophy of addressing acts of hate and intolerance with compassion and love, we are inviting the public to show their respect and support of a man who spent his life making others smile, who was always there for others in their time of need, and who supported the greater good through works of service and charity. Please join Planting Peace in counteracting the WBC’s message of hate through a fundraising event benefiting St. Jude Children’s Research Hospital, a cause Mr. Williams passionately and publicly supported. Though the fundraising effort has already met its $30,000 goal, you can still help drown out the WBC’s hateful message further by donating to Planting Pleace’s “Remember Robin: A Fundraiser for St. Jude” and add your voice to the chorus of those battling intolerance with a gesture of love.